Bloodstained: Ritual of the Night will be getting a Wii U release, thanks to supporters on Kickstarter whose funding helped the project surpass its $3 million stretch goal. Developer Armature Studio will be handing the port for Nintendo's home console, which will feature Pro Controller support, off-TV play, Miiverse integration, and several other handy features exclusive to the Wii U version. Plus, it will be getting both digital and disc-based releases. On top of that, two new stretch goals were added. Asynchronous online multiplayer will be added if the Kickstarter reaches $3.25 million, and port for PlayStation Vita, developed also by Armature, will be green lit should the campaign's funding hit $3.5 million. 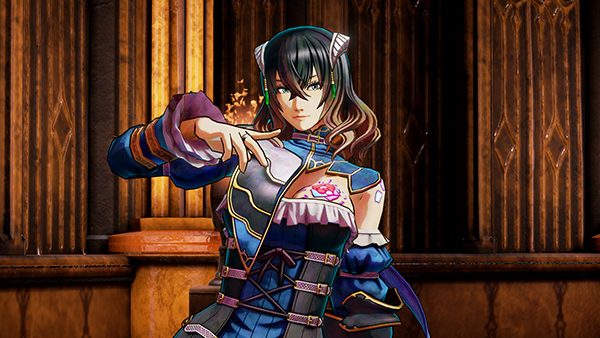 Earlier this month, former Castlevania producer Koji Igarashi pulled back the curtain on Bloodstained: Ritual of the Night, which has been incredibly well received by the gaming community ever since it was first unveiled. At the time of this posting, the Kickstarter is currently sitting pretty at $3,024,218 with another 12 days to go. Not too shabby. ...less 500k lang naman, sana maabot nila pls! para magkaroon ng vita version! ...sorry, akala ko kasi pwede sya sa sony dahil sa vita stretch goal din talaga yung topic nya. Bloodstained: Ritual of the Night will be released for Switch. The news comes via a Nintendo News notice sent to European Switch owners. The news update highlights “more than 60 quality indie games confirmed for Nintendo Switch throughout 2017.” It features logos for all of the indie games confirmed last week in addition to the Bloodstained: Ritual of the Night logo. In addition to Switch, Bloodstained: Ritual of the Night is also due out for PlayStation 4, Xbox One, Wii U, PC, and PS Vita in the first half of 2018.